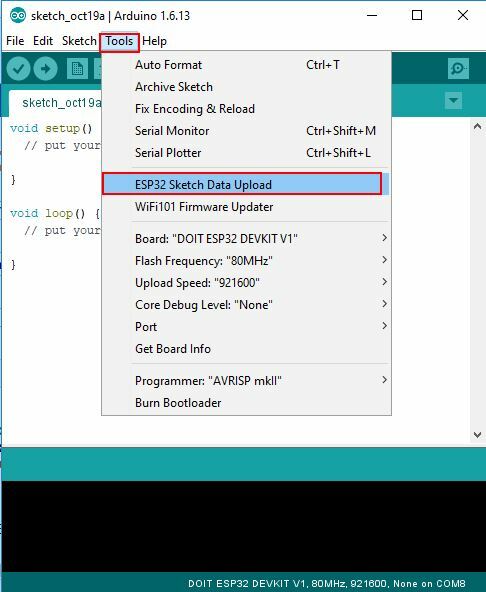 We will learn how to upload files to the ESP32 development board's filesystem using a plugin for the Arduino IDE. 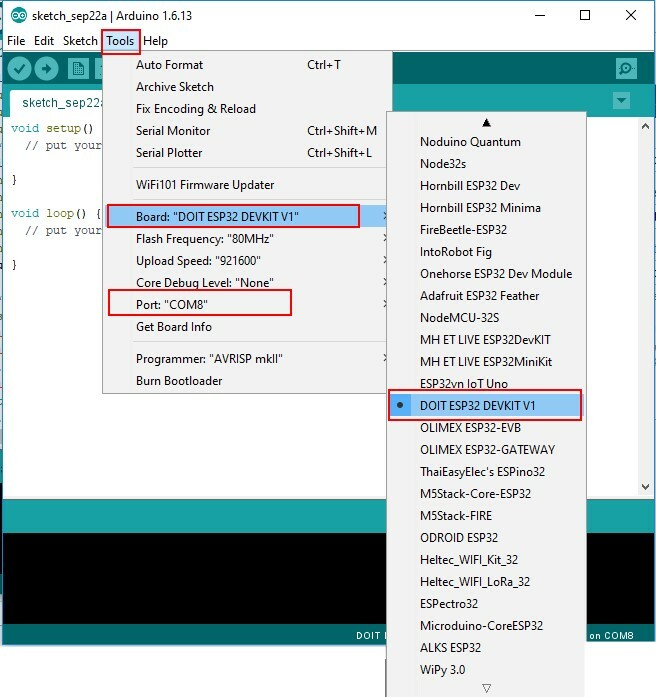 The ESP32 development board contains a Serial Peripheral Interface Flash File System (SPIFFS). 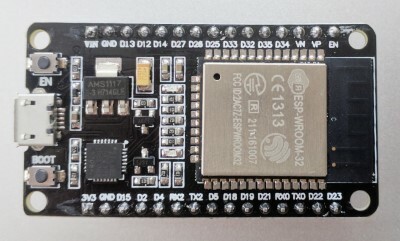 SPIFFS is a lightweight filesystem created for microcontrollers with a flash chip, which are connected by SPI bus, like the ESP32 development board's flash memory. SPIFFS lets you access the flash memory like you would do in a normal filesystem in your computer, but simpler and more limited. You can read, write, close, and delete files. SPIFFS doesn’t support directories. 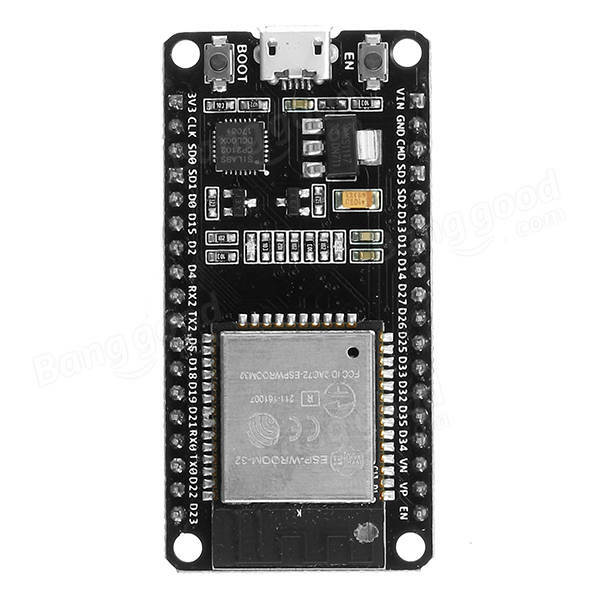 You can write the HTML and CSS used for the web server in a separated file and save them on the ESP32 Development board's filesystem with SPIFFS. 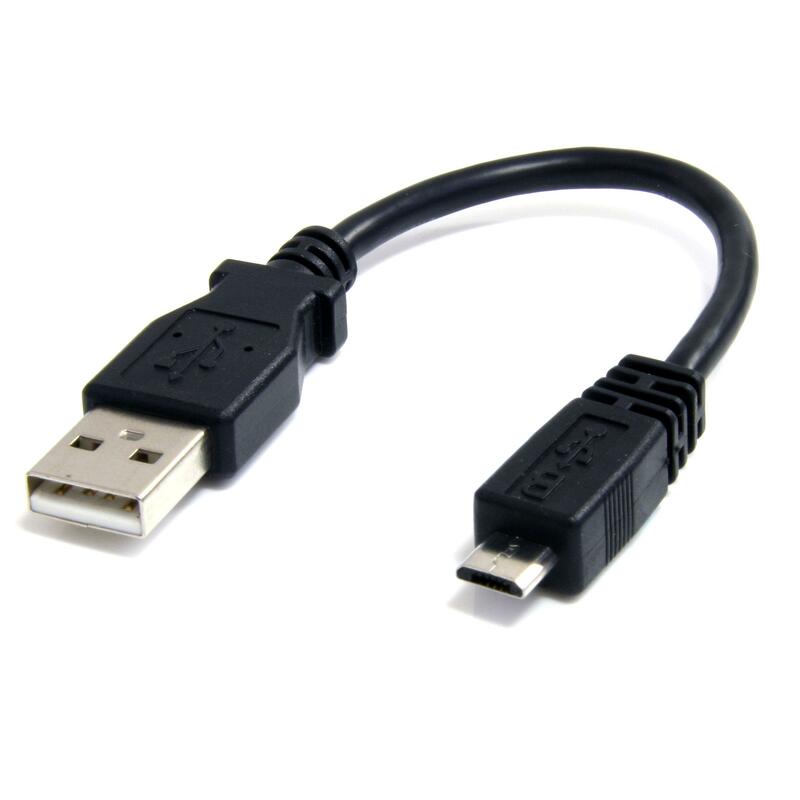 It's very useful as in most of our web server DIY projects we have written the HTML code for the web server as a String directly in an Arduino sketch. 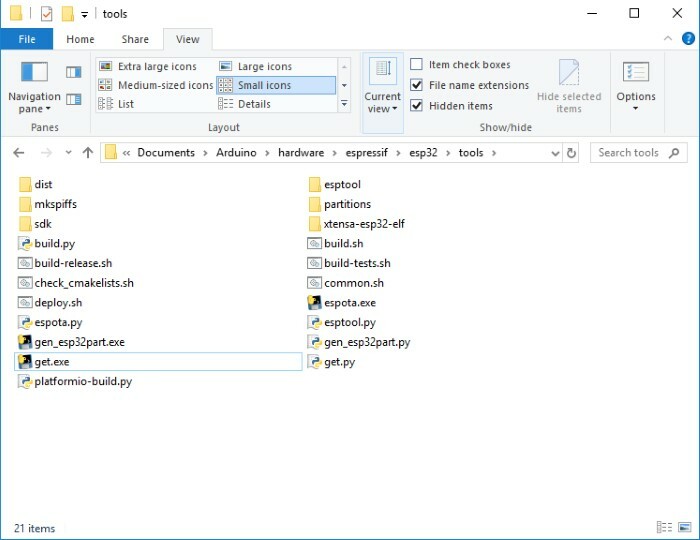 There is a plugin for the Arduino IDE that allows you to upload files directly to the ESP32 Development board's filesystem from a folder in your computer. 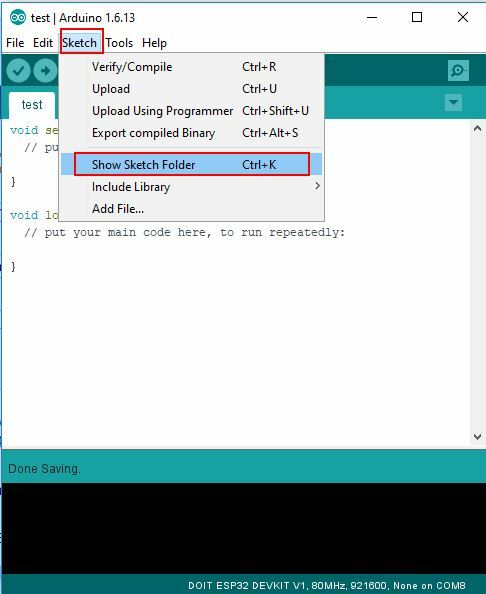 This makes it really easy and simple to work with files as you do not need to type the content of your files in the Arduino sketch. 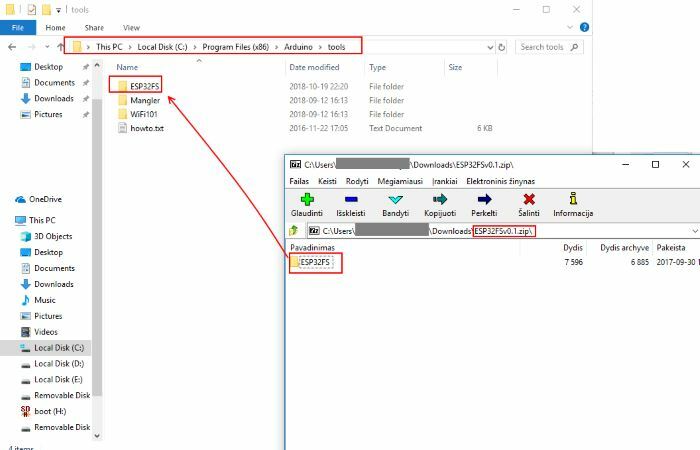 Download the ESP32FSv0.1.zip file. Home page on Github. Go to the Arduino IDE directory and open the Tools folder. Open your Arduino IDE. 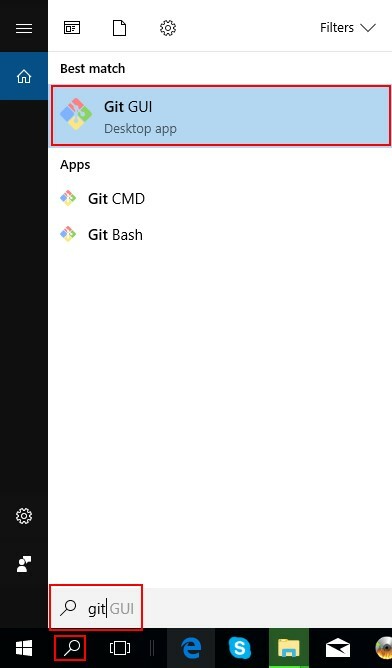 Go to Tools menu. 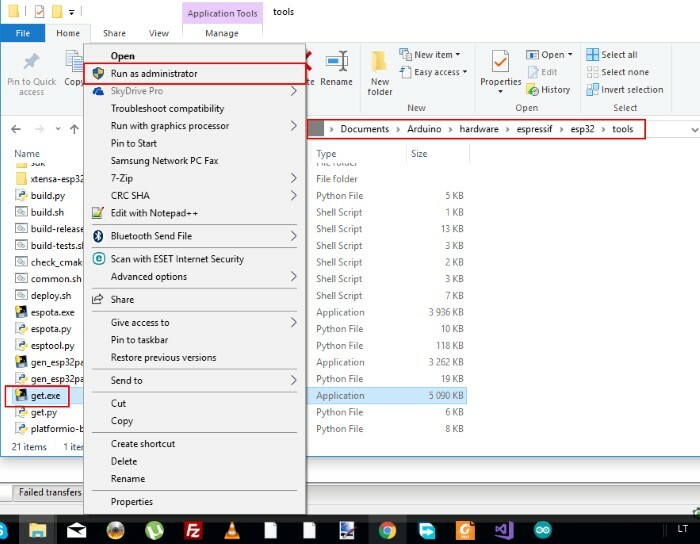 If you have the option ESP32 Sketch Data Upload Arduino ESP32 filesystem uploader was successfully installed. Make an Arduino sketch and save it. It can be an empty sketch - test.ino. Open the sketch folder. Go to Sketch -> Show Sketch Folder. You will open the folder where your sketch is saved. 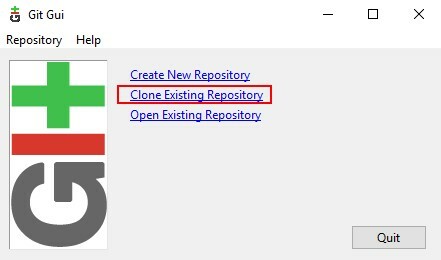 Make a new subfolder with name data inside of this folder. 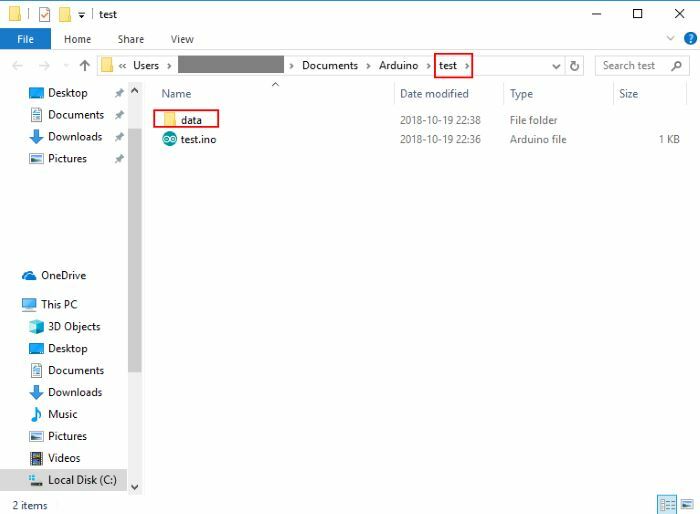 The data folder is where you should put the files you want to be saved into the ESP32 filesystem. Let's make a .txt file with some text called test. Type some text and save the file. Go to Tools -> ESP32 Sketch Data Upload to upload the files. If everything went as expected, you should see a “SPIFFS Image Uploaded” message. (You need to hold the ESP32 on-board Boot button while uploading). Let’s check if the file was saved into the ESP32 Development board's filesystem. 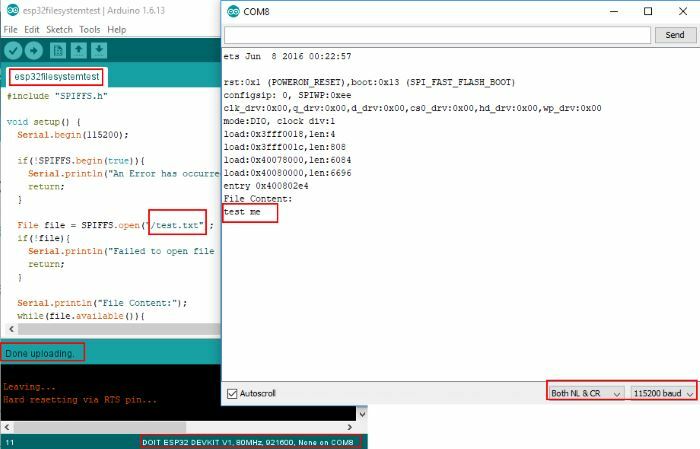 Open esp32filesystemtestsketch, compile and upload it to your ESP32 development board. If everything went as expected, you should see a “Done uploading” message. (You need to hold the ESP32 on-board Boot button while uploading). It will print the content of your .txt file. Congrats!!! 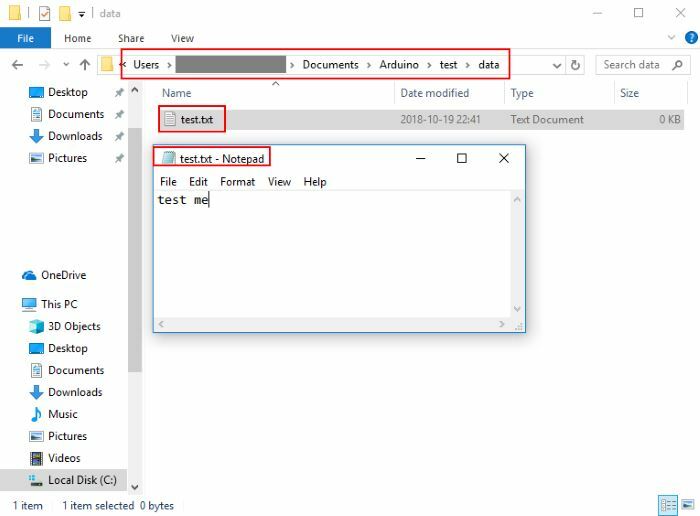 You have successfully uploaded files to the ESP32 filesystem using the plugin. 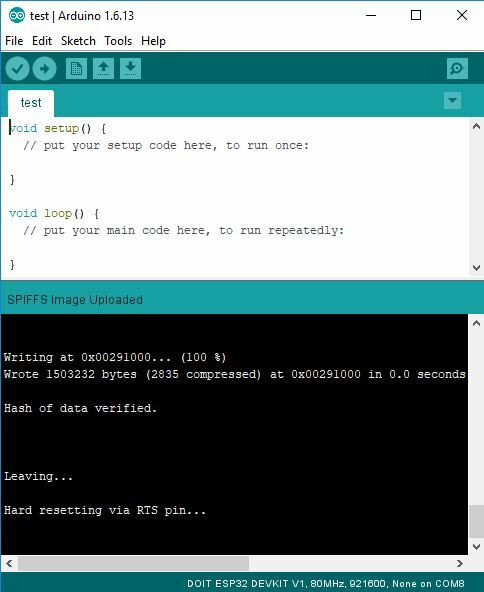 We have learnt how to upload files to the ESP32 development board's filesystem using a plugin for the Arduino IDE.